The ‘Planned Obsolescence’ business model has been implemented within our society since the early 1900’s. Now it’s use within society is of increasing interest from consumers and governments alike. However, its existence is much deeper that one may initially perceive. It influences much more than the amount of cash in Tim Cook’s back pocket, from employment rates to the health of our planet, planned obsolescence is a firm root in the tree that is today’s society. It has been shown that the obsolescence of a functional product is likely to affect people with lower income more than those with a higher income. 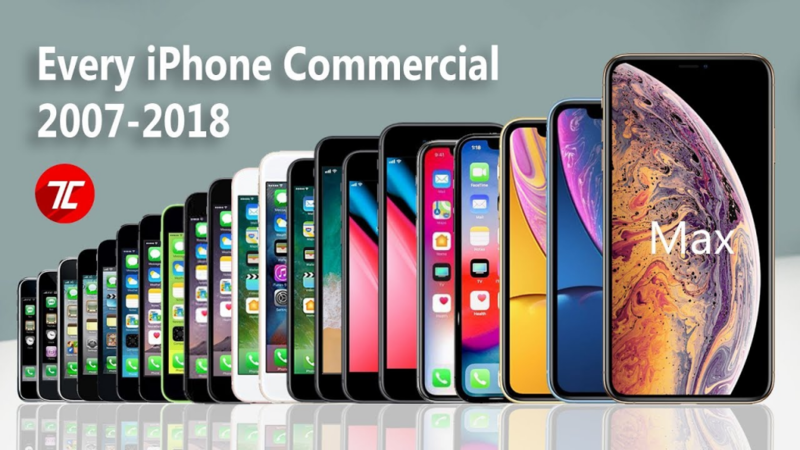 For example, most people upgrade their mobile phones every two years, thus companies design a phone to become obsolete within that time frame, encouraging the general public to purchase a newer model. Considering the general trend of price increases of new models due to inflation and implementation of newer technology, not everyone will be able to afford this. Planned obsolescence would therefore disobey care ethics as it would put greater financial pressure on those with lower income; potentially lowering the quality of life by reducing their financial freedom. As oppose to those with higher incomes who will be able to upgrade without feeling any financial pressure. The obsolescence of technology causes a huge waste problem as personal gadgets are discarded with little regard for environmental damage. This results in lead, mercury and toxic glass damage world-wide, causing long term damage to the earth. It would be in humanity’s best interest to avoid this when considering the Utilitarianism theory, as damaging the environment will negatively affect most people’s lives in the long run, while only a few see short term monetary benefits from the profits made through planned obsolescence. Furthermore, the current political view on environmental pollution is mitigation, which goes against planned obsolescence. Planned obsolescence induces ‘consumer disposal behaviour’ which is a product of innovation. Moreover, these disposed items are introduced to recycling programmes to supposedly improve their sustainability. However, 50 – 80% of the recyclable materials are exported to third world nations. Thus, inefficient methods are often used in an attempt to extract recyclable materials exposing the local communities to toxic gases to be released during the process. Kant’s theory would suggest that actions must be made with inner good motive and to rationally gain agreement from everyone to make the same decision. Thus, it isn’t fair to expose people in poorer nations to these toxins when those in more developed countries would not be willing to do the same. Another point to discuss is code of conduct. For example, Apple has stated that the ‘’Supplier is encouraged to help foster social and economic development and contribute to the sustainability of the communities in which it operates’’. It has been shown from the previous points that planned obsolescence certainly does not support this. For example, it is apparent that obsolescence is globally unsustainable as it contributes to global warming and releases toxic waste. Additionally, obsolescence induces ‘consumer disposal behaviour’ which further contributes to an individual’s financial poverty. Social development may be fostered in certain communities, but this is not the case in poorer countries where communities are exposed to toxic substances as a result of planned obsolescence. Planned Obsolescence benefits society and should be allowed to continue to do so! Society today, is reliant upon the planned obsolescence business model, a topic with several associated ethical and legal connotations. We believe that these connotations align, and when different ethical theories are considered, one can form a stronger argument for keeping the current legislation in the UK surrounding planned obsolescence. One attribute of planned obsolescence is the rapid turnover of goods. Consequently, many jobs have been created and the UK’s economy has benefited through the growth of manufacturing sectors. Enforcing laws against planned obsolescence would result in mass unemployment and economic downturn, both of which are contrary to the common good ethical approach, which suggests one should always do the best for society. Furthermore, the continuous development of products has forced scientific and technological innovation. The principle of actions being carried out now to benefit people in the future is an important feature in consequentialism. In addition, planned obsolescence has allowed products to become financially viable to everyone. There is now an abundance of past generation products all over the globe. Now, ‘outdated’ iPhones are being used by West African farmers to increase yields through better understanding crop diseases. Yes, one could argue that many of these products still end up in landfill, but the doctrine of double effect ethical argument can be used to justify planned obsolescence in this scenario. It suggests if doing something good has a morally bad side-effect, it’s ok to do so if the bad side-effect wasn’t intended. Ethically this squashes the argument for making planned obsolescence illegal on the grounds of its environmental impact, as no designer/engineer would intend for their product to end up in landfill prematurely. A well-documented case of planned obsolescence was when Apple were proven guilty of limiting the processor speeds on their older generation iPhones through software updates. This was to prevent their devices from continually shutting down during power surges when its batteries began to degrade. Due to Apple’s lack of transparency, these software updates were considered wrongful. However, if one were to consider utilitarianism, it could be seen that Apple were in fact prolonging the usability of their older generation iPhones, using planned obsolescence as a weapon against hardware degradation. And as a result, benefitting most of the iPhone using community; those who are not financially able to upgrade to a newer device annually. Planned obsolescence serves as a reflection of a ravenous consumer culture. We are a society obsessed with having the latest products, from trainers to televisions, and are all guilty of replacing perfectly functional products to promote one’s public image. Under egoism ethics this is completely acceptable, which suggests one should always act in a way to maximise their own pleasure. It is in our opinion that the overwhelming influence Planned Obsolescence has on today’s society is of a detrimental nature. An interesting article. For the most part, I agree with the opinion of the authors in that planned obsolescence has an overarching damaging effect to global society. To me, this is a business theory that ultimately is contradicting in nature. The business world quite obviously survives on sustainability in all forms, be it social, environmental or financial sustainability, yet planned obsolescence, a fundamentally flawed and unsustainable concept as highlighted in this article, is used so frequently in many industries. However, contrary to my initial thinking this article lays out clearly that there actually appears to be some benefit to planned obsolescence. Of particular interest, was the use of older generations of the iPhone by West African farmers in order to increase crop yields by better understanding disease. With this in mind, I therefore do not believe that the idea of planned obsolescence is as simple as ‘right or wrong’ to determine its legality in today’s world. I believe this to be far more complex than many may initially perceive it to be. Perhaps it is a case of using increased legislation on multi-national corporations that partake in this business model, to ensure that through collaborative measures, efforts are increased to reduce product waste. An example of this could be to use the same organisations to research ways that older products could be put to better effect such as the case of the iPhone in West Africa. Some good points made by both sides, clearly illustrating both the benefits and drawbacks that the planned obsolescence model provides. There is clearly a benefit to the economy by having such a model implemented in its society. As mentioned in the article, jobs are maintained and even created in manufacturing sectors and in addition to this its hard to argue that planned obsolescence hasn’t forced the advancement of technology. As well as the model benefiting developing countries it also seems to trickle down to eventually helping third world countries. When certain models of technology become increasingly out-dated they become cheaper so more people can access them, including the farmers mentioned in the article. Although there are benefits to the use of the model, it is clear to see that consumer disposal behaviour, induced by planned obsolescence, is having a detrimental effect on the planet. Egoism ethics may be used to justify the constant need to buy the latest products however this culture inst sustainable and with the ever deteriorating state of our environment, it cant be used as an excuse. Furthermore despite large percentage of materials being exported to third world nations, it is extracted using insufficient and at their expense exposing them to toxic gases that developing nations would find unacceptable. I find it hard to determine when and where legislation would come in to intervene as the benefits cant be disputed however I do not believe that the model is sustainable in the long run and much needs to be done to reduce the amount of waste produced. Really brings to light the pros and cons to the planned obsolescence business model. I had no idea how great an effect it had on society both economically and environmentally. In my opinion multi-national corporations, such as Apple, do take advantage of its customers. However, I also believe that enforcing sanctions through legislation will have little effect. I struggle to see how they can be monitored. Ultimately, I also one who loves to reap the benefits planned obsolescence brings about in the form of innovation. I rely on my phone and laptop, the better my gadgets are the easier my job becomes. To conclude my comment, I appreciate the larger impact planned obsolescence has on society, and that it shouldn’t be disturbed by ineffective legislation. I would have always been against planned obsolescence, as I would always prefer for the device/item to last longer, but the argument for planned obsolescence made some interesting points. At the end of the day the vast majority of companies are there to make money, so by using the planned obsolescence business model they are able better meet this objective and please their shareholders/investors. As mentioned in this article these companies employ lots of people which allows them to support their families. In the end I think planned obsolescence is still a negative as when purchasing/investing in an expensive item I want it to last for years so that I feel I have received an item that is value for money. Not to mention the unnecessary wastage of materials and environmental damage. I think legislation should be put into place to ensure that items are designed to last for an appropriate amount of time and that they have not been purposely designed to break. The authors give strong compelling arguments which illustrate the issue of planned obsolescence that needs to get much more attention if we care about the planet versus profit. In the process of finding new ways of maintaining continual growth, companies are building intentional failures into their products to manipulate consumption. As a result, and as suggested in this article, more and more items are disposed with little or no regard for environmental damage. Alternatively, due to the rapid turnover of goods, more jobs are created and the economy benefits from the growth of manufacturing sectors. Obsolescence can be seen as part of the cycle of technological growth, where companies have to allow for continual improvements to keep up with technology changes. The view that planned obsolescence is very complex, and not as simple as right or wrong, using law to intervene would be very difficult. This is certainly an interesting topic to consider the ethics of. All products must become obsolete due to the changing needs of consumers and the advance of technology. So I suppose the the real question is; is it correct for companies to make products become obsolete sooner than necessary. Then we have the question what is a suitable time for a product to become obsolete? Of course this depends upon the product but it is important to realise that companies cannot make products become non useful sooner than is deemed suitable because the consumer would not buy the product. Consumers buy products with an expectation of how long it will last them and they are prepared to pay the price of the product for this period of use. So I suppose now the true question is; is it correct to have a throwaway society? As indicated by the authors there are detrimental environmental impacts to a throwaway society; utilitarian ethics would suggest that this is wrong. On the other hand we have the promotion of product development and the jobs created by the constant demand for new products. Utilitarian ethics would argue this to be ethically correct. We now have two opposing answers from the same ethical theory. To determine which is truly correct the benefits must be quantitively compared to the negative impacts (not an easy comparison). However, now suppose that we can recycle all old products with no environmental implications. The major negative consequence has now disappeared and only the economic benefits remain. This would seem to give a clear answer by utilitarian ethics. Enjoyed reading this article, both sides make solid points which makes it an interesting topic. After more consideration I must agree with the final verdict that the law should be used to intervene. I believe that overall it is unethical, the main reason for this being the environmental damage it causes. This kind of throw away attitude is no longer acceptable in a world running out of resources, products should be made with the intention of them being usable and useful for the maximum period of time that is feasible. Just like yin and yang, the article illustrates that there is good and bad planned obsolescence. It’s important that we as consumers understand the difference between good and bad obsolescence, and I agree with the final verdict that law should be used to intervene and fight the bad kind.